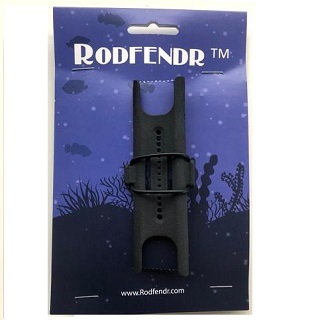 Rodfendr is a fully Irish designed and produced fishing rod rest which is designed to protect your fishing rod and line from damage by attaching directly to your rod. The rod fender has a sponge rectangle shaped grip on the bottom for anti slide and will grip very well to pretty much any surface. It has a line slot to protect line and allow it to move freely on fish bites, in weedy sessions and on strong tides. Developed by Kerryman and fishing enthusiast Alan O Shea the Rodfender is ideal for use in all situations including at a pier, in a boat or on the rocks. During difficult weather conditions like high winds Rodfendr has been tried and tested and passed spectacularly. The Rodfendr eliminates the need to bring a bulky tripod with you when fishing. This is particularly useful when fishing in remote or difficult to access areas giving you the complete freedom to move from place to place and rest your fishing rod on any object available. Most people that sight fishing as something they are passionate about have suffered from line "breakoff" just when something bites. 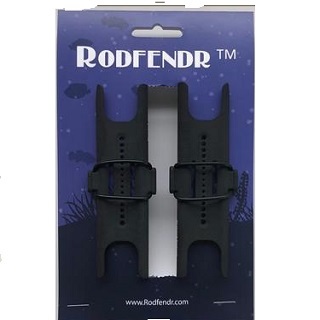 The Rodfendr helps to eliminate this issue whilst also protecting your fishing rod from getting damaged when resting by scrapping across the surface it is sitting on. Easy to fit the Rodfendr does not in anyway interfere when casting. Available a single pack or as a double pack.